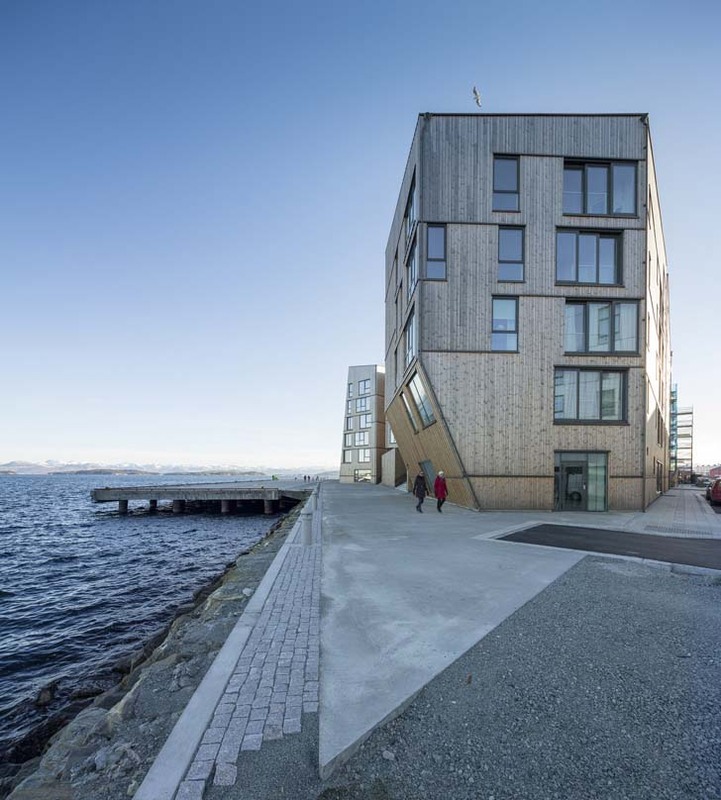 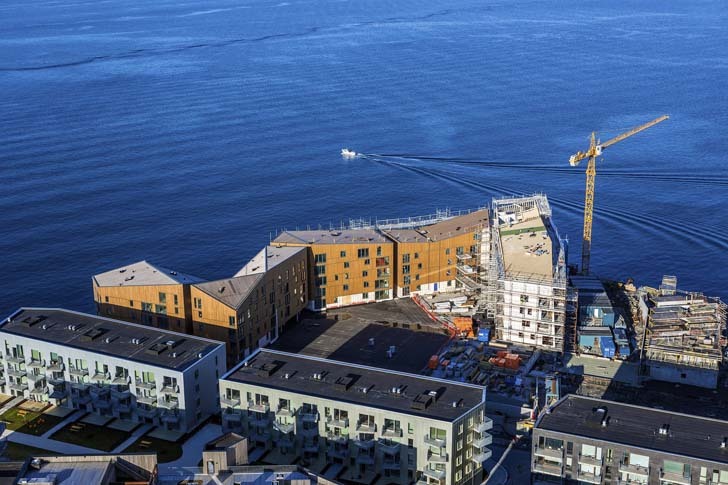 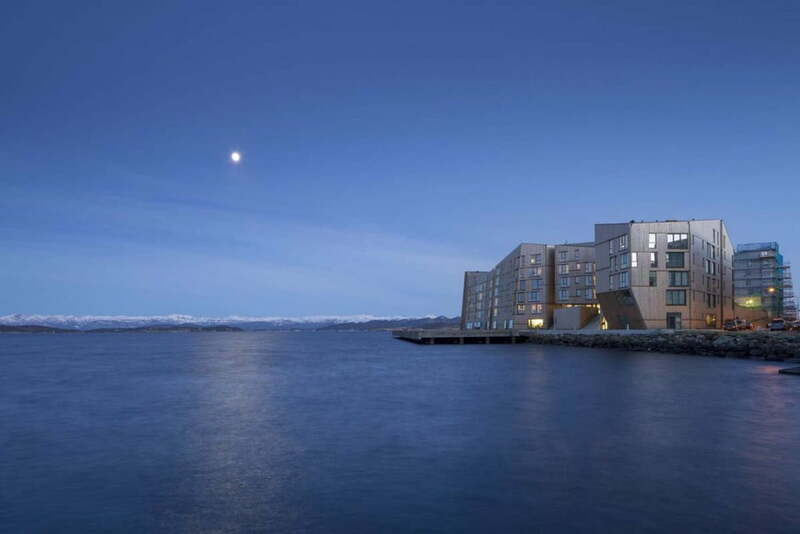 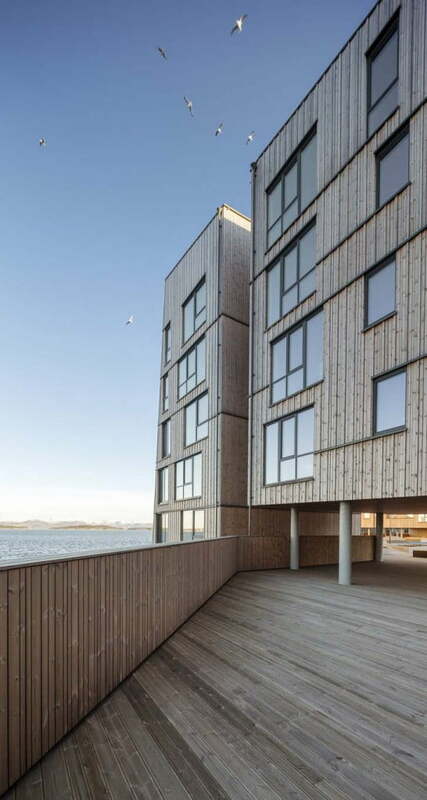 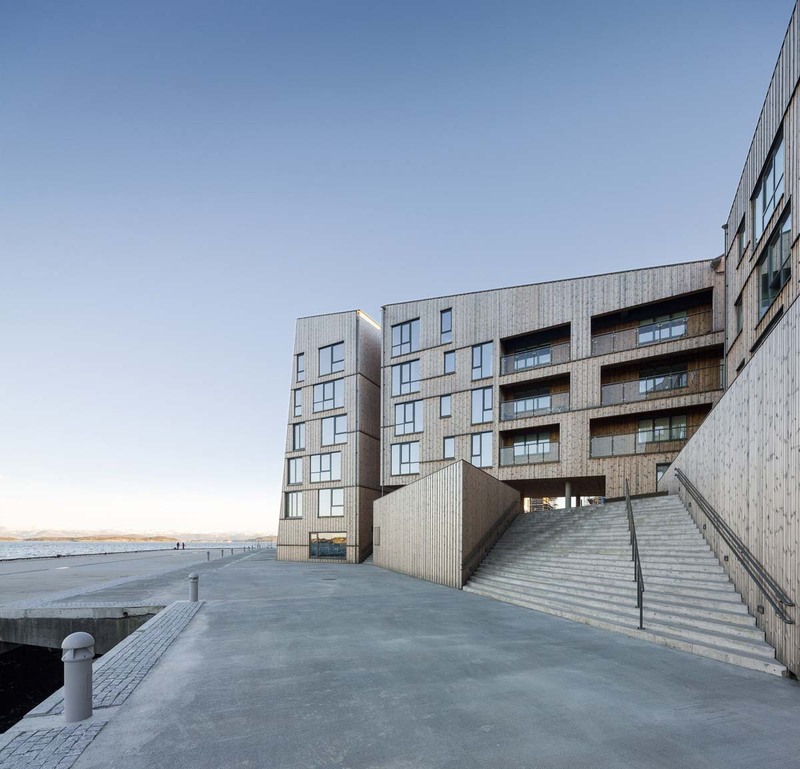 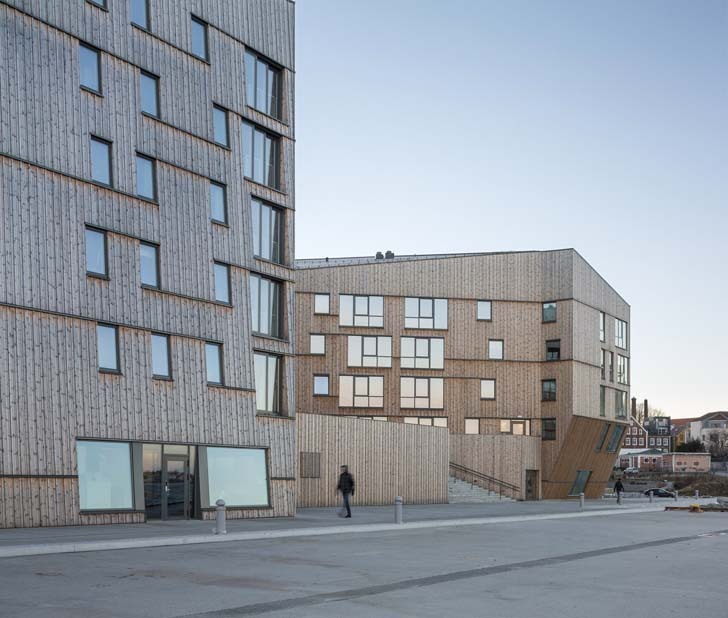 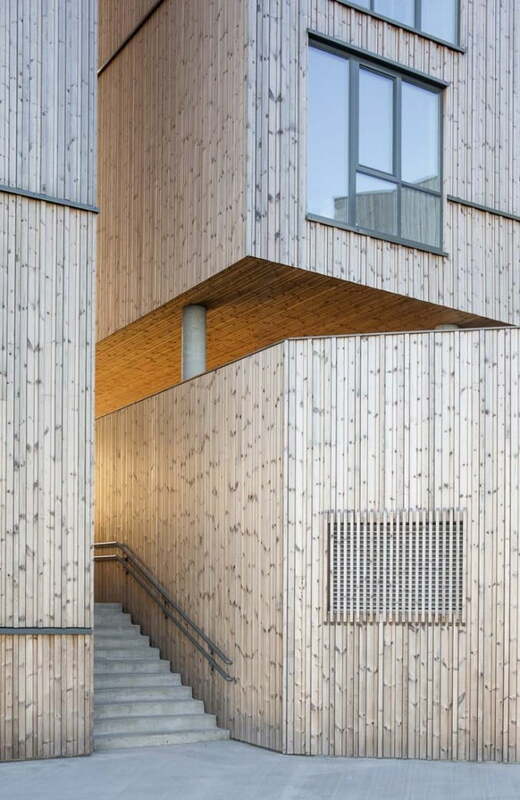 The Waterfront – Largest Wooden Residential Developments in Norway, Europe – the Waterfront (in Norwegian ‘Vannkanten’) positions Stavanger as a pioneer city in the field of modern wooden architecture. 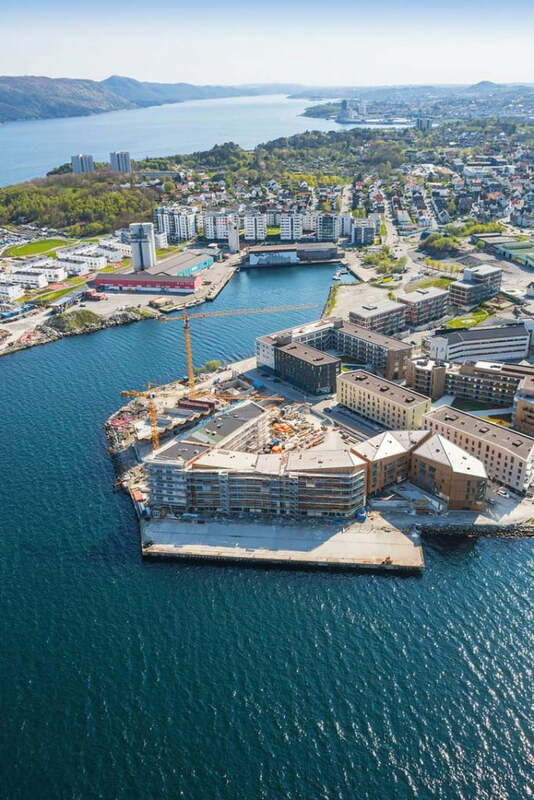 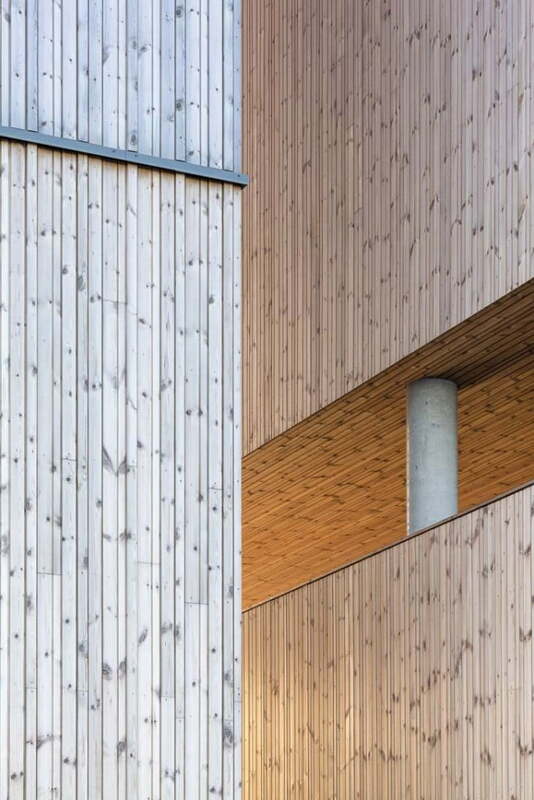 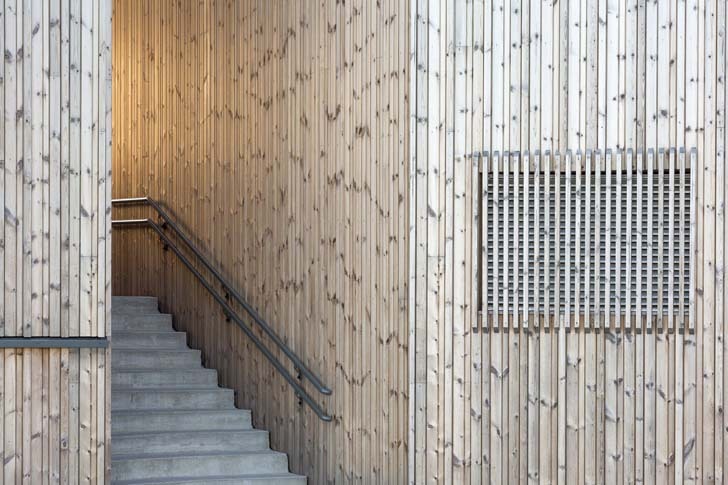 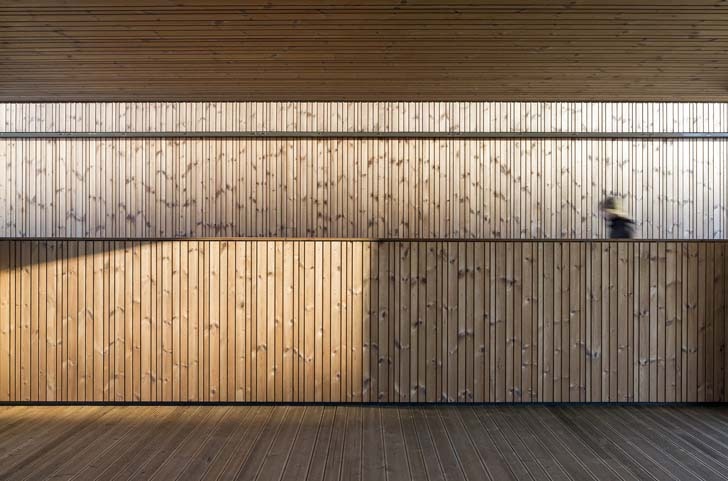 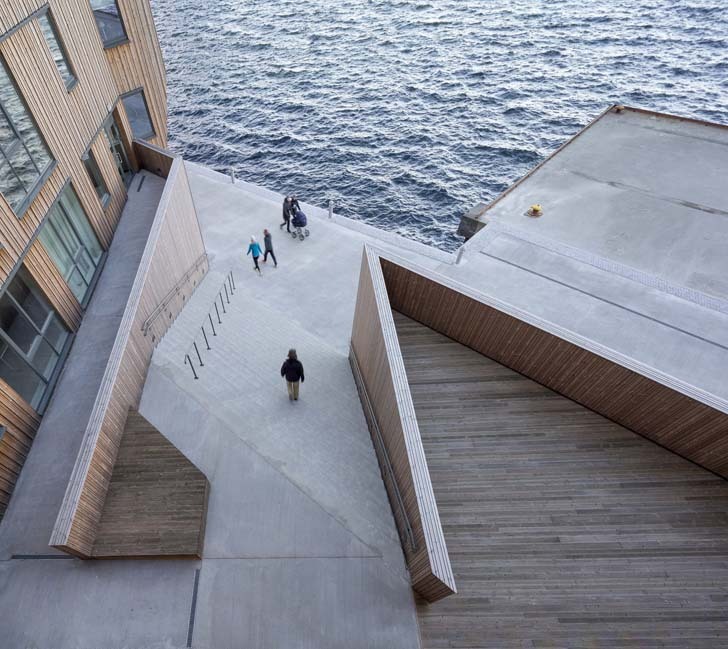 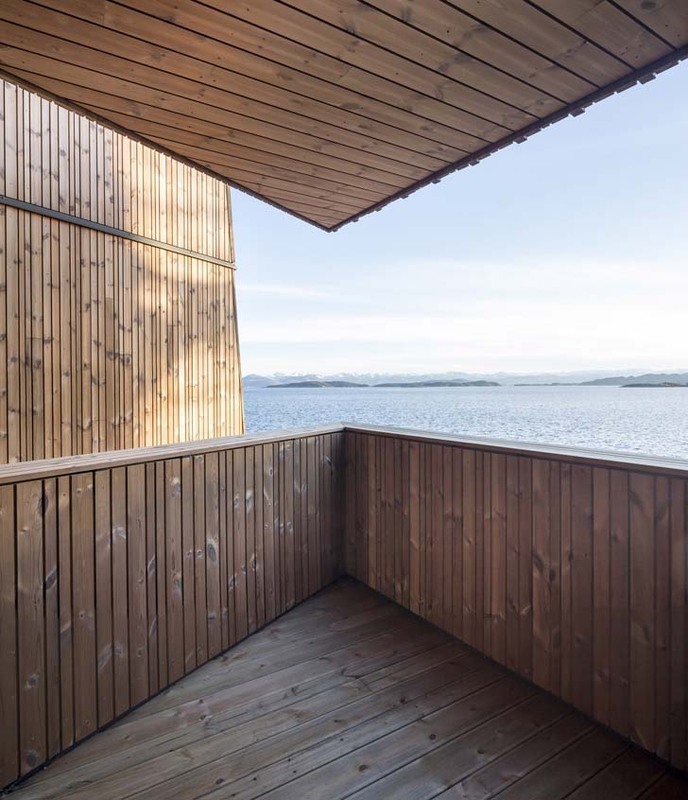 Stavanger has the highest concentration of wooden architecture in Northern Europe, and the vision behind the Waterfront is thus to create an iconic and vibrant development, expressing a local identity and a global vision. 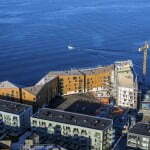 The Waterfront includes 128 freehold flats (ranging from 44 to 225 m2) as well as shops and cafes along the promenade. 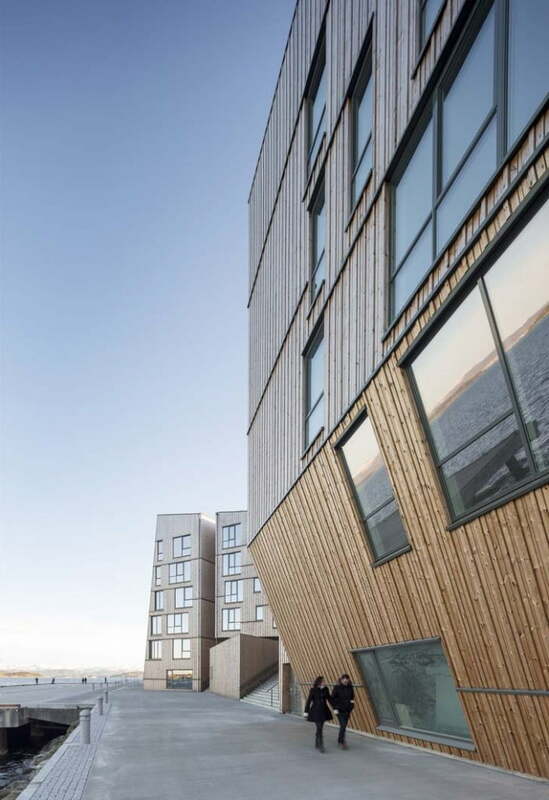 The lower flats are designed as single storied flats, while the upper flats are designed as duplexes, offering a compelling spatiality and magnificent view of the sea. 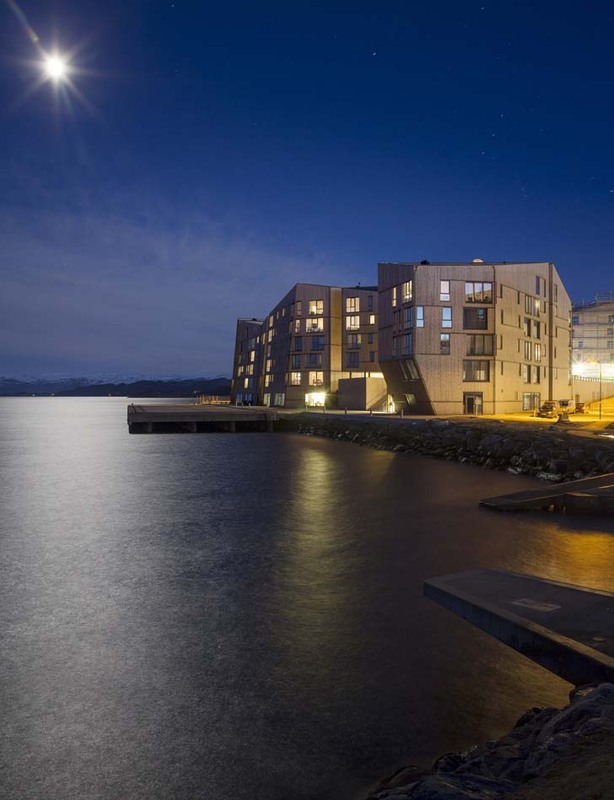 All of the flats are lit from both sides in order to provide a comfortable atmosphere and utilize the captivating view of the sea and the city. 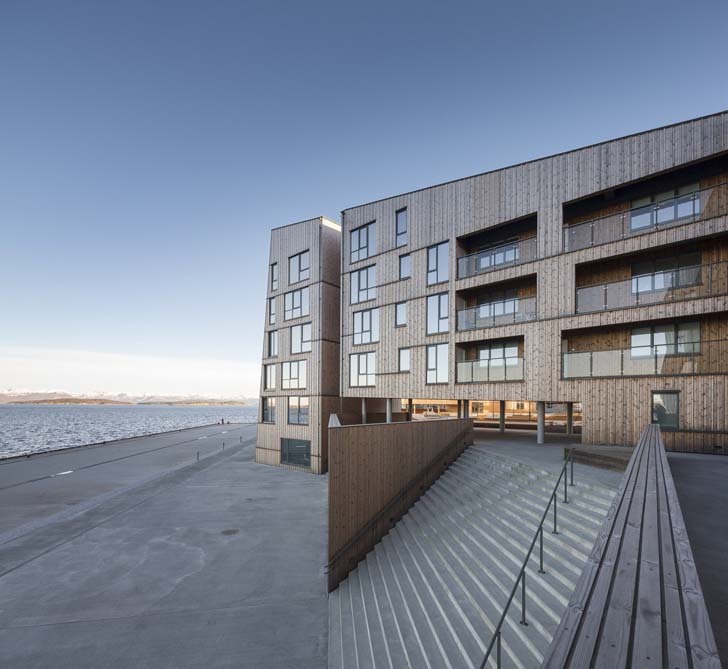 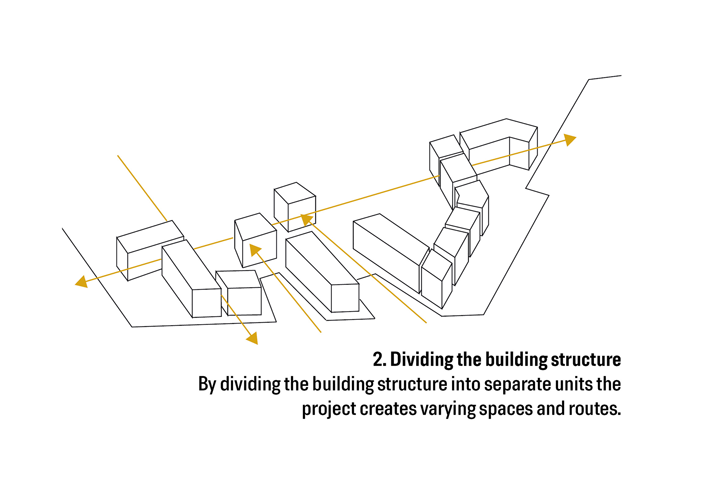 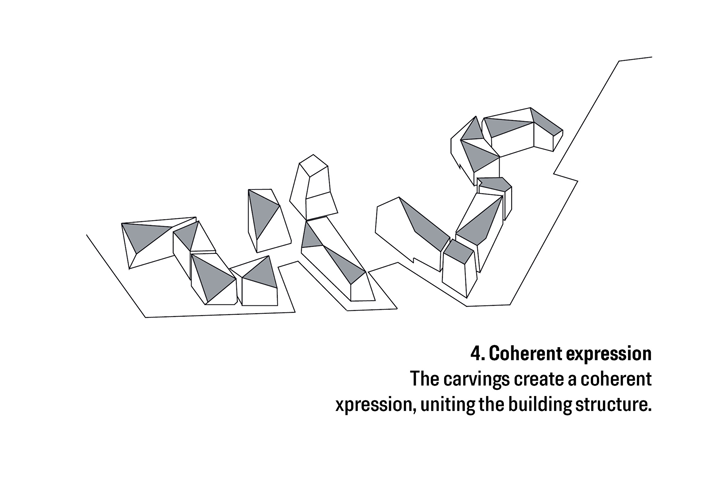 The freehold flats of varying size, shape and height promote a diversity of life styles, enriching everyday life and the social interaction between different people. 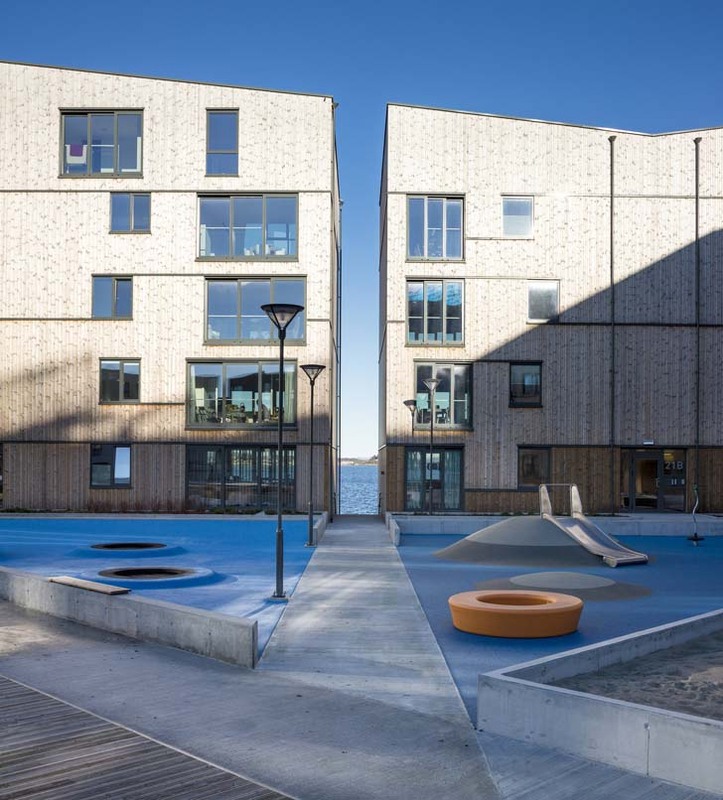 This social ambition also manifests itself in the cafes along the promenade, the many public squares and the large communal room on the first floor in the center of the building complex, overlooking the community square, the promenade and the sea. 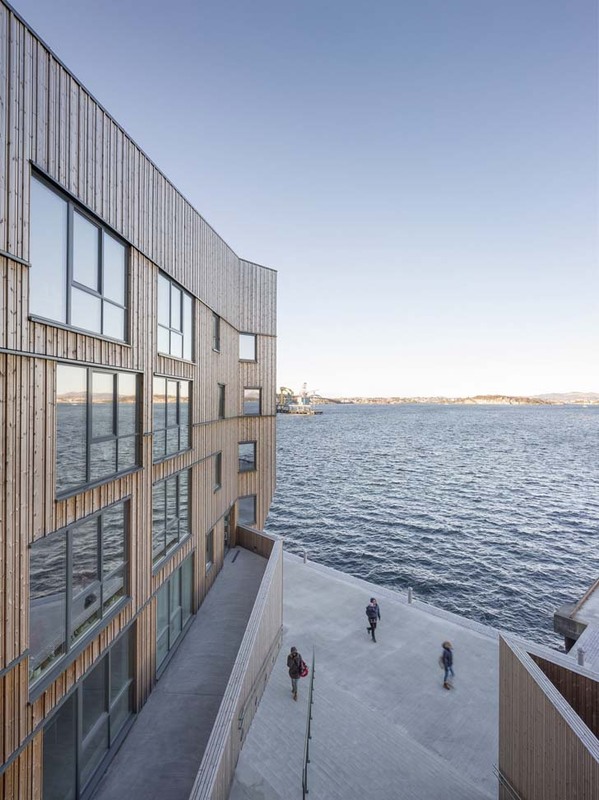 The vibrant atmosphere is enhanced by the persistent irregularity of lines and volumes that shape the Waterfront’s wooden architecture. 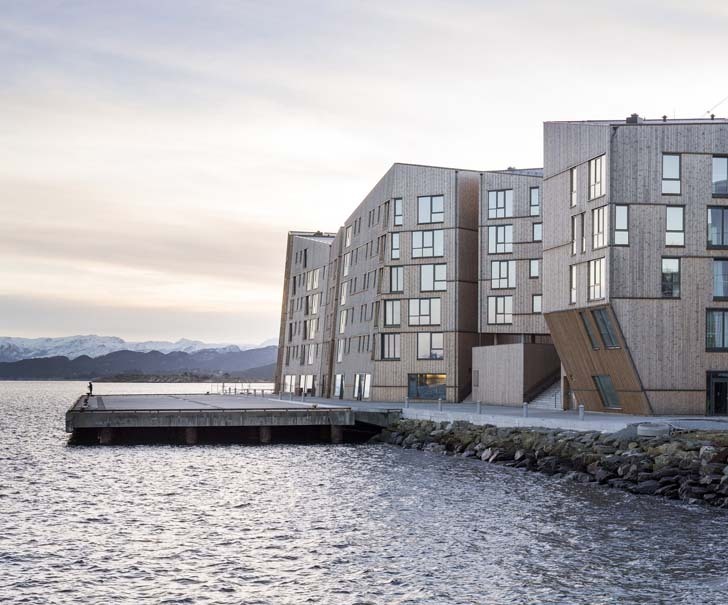 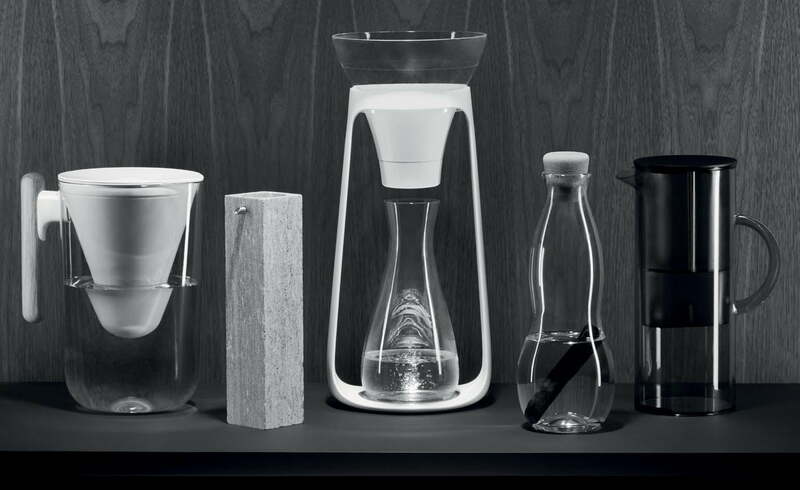 Furthermore, the daring angular volumes are molded in relation to the wind and the sun for the purpose of creating a dynamic play of light and shadow during the day. 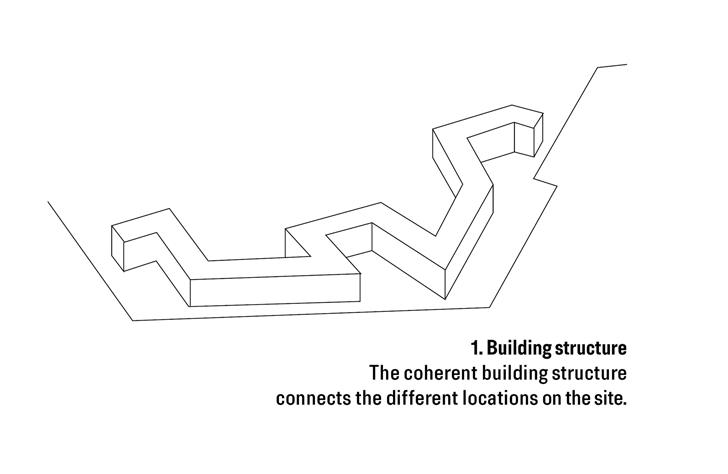 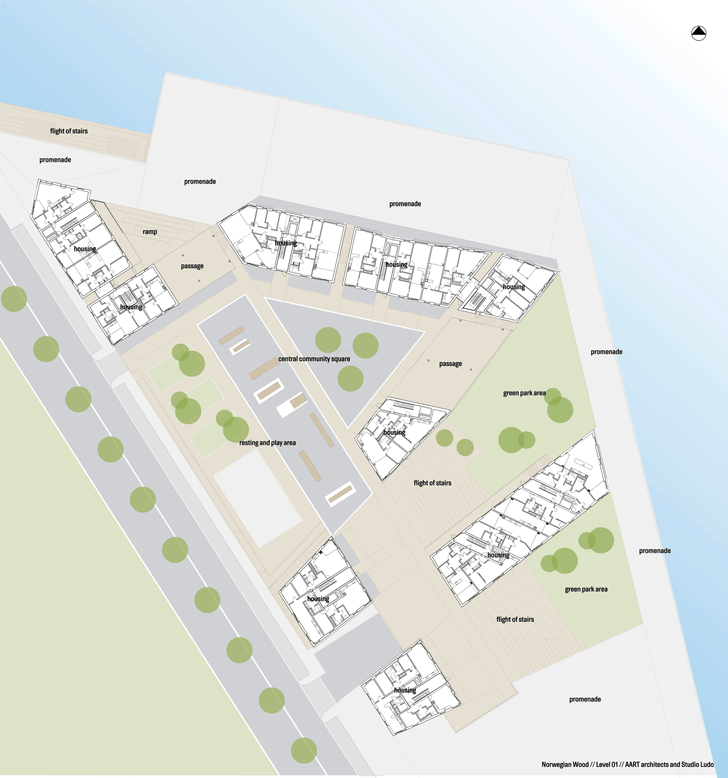 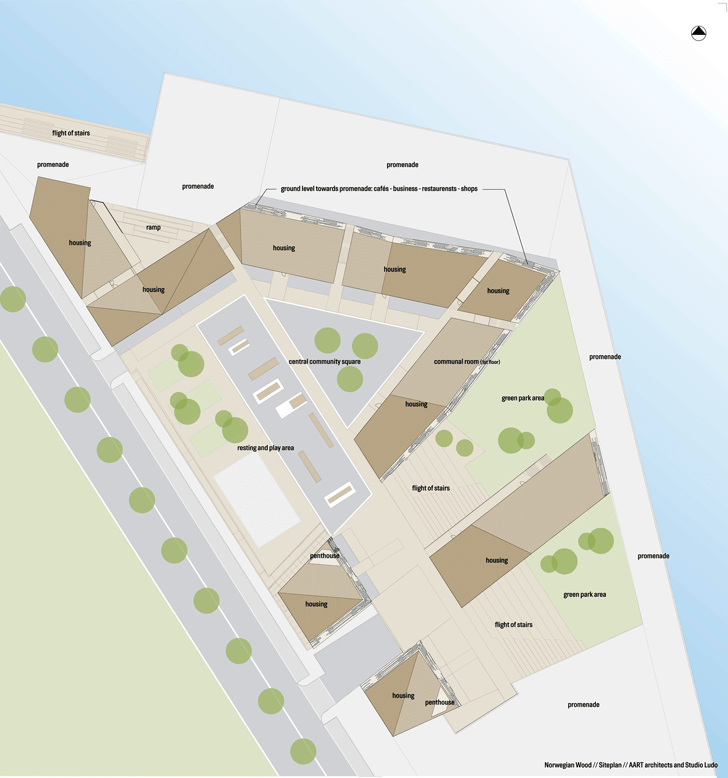 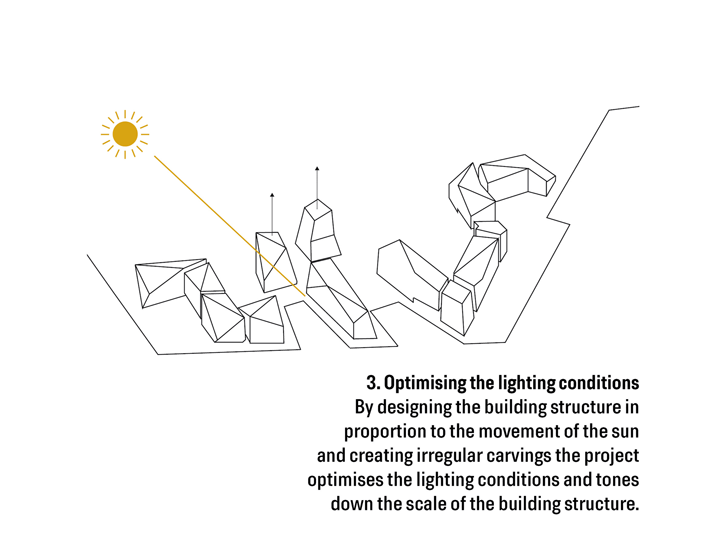 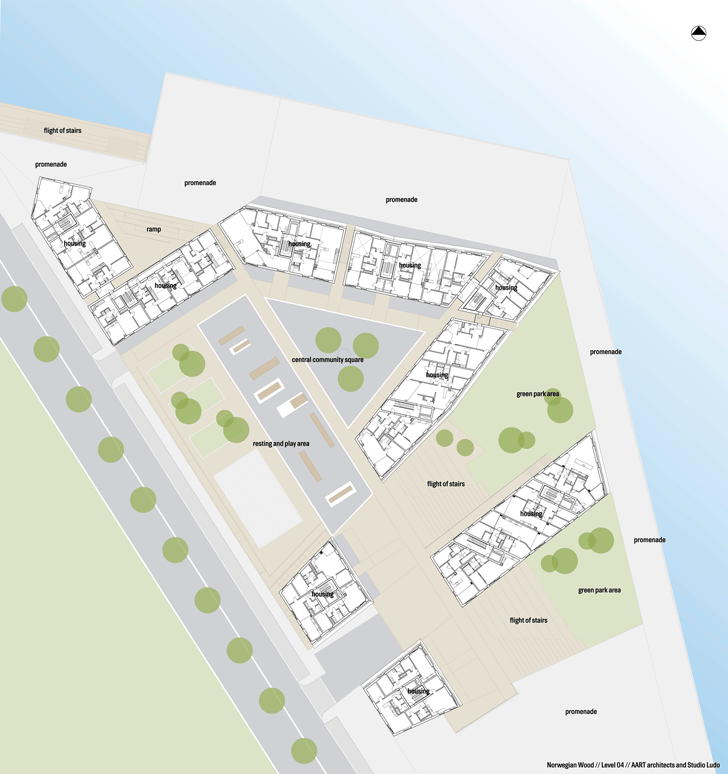 In this way, the Waterfront development systematically uses the energy from the sun to reduce the demand for energy, while the slanting roof surfaces create optimal lighting conditions by bringing sunlight into the public squares and freehold flats.